I craft websites and interactive experiences. 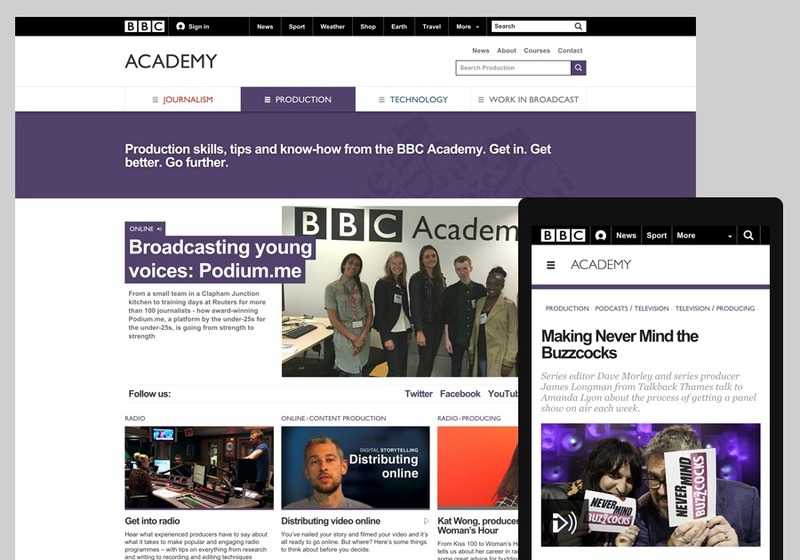 The Academy website was one of the BBC’s first fully responsive releases. The project was commissioned to bring the Colleges of Journalism, Technology, and Production together into one site. The project came with many challenges for our small team. The sheer volume of content, breadth of subject matter, variety of content types, and supported languages made for some good honest hard work. The result of which was a decent website, that has stood up well a few years on. My Role: Process & design lead. Front-end.